Wow, I finally did something with FunToBeAGirl.com . Took me long enough. I was looking up domain names for some other project quite a long time ago and ran across it as available. Rather surprised it wasn’t taken so I purchased it with the intention of using it just never really got around to it. The most successful blogs are those that stick to what you know and I certainly have this topic down. I cheated and used a theme layout created by someone else because I really like the way he created the post layouts, customized it and voila!. Now to learn about using various affiliate networks to generate revenue from ad clicks. It’s all in fun and a learning experience so if it doesn’t generate any money that’s cool but I would really like to learn how using blog networks to increase site traffic works. So far I’ve been approved for three affiliate programs and hoping for one or two more. I don’t want to overwhelm anyone with ads and I also won’t post anything I don’t use or like myself. Thinking the project might be more fun if I enlist (harass) friends in to creating posts too. All of us women have our own tips, tricks, quirks and needs so it would be that much more fun and useful a project if the posts covered a wider range than myself and my own opinions. Who knows maybe I’m on a roll and will finally add book reviews and suggestions to kerrianne.com as I originally intended. Little intimidating to think about considering the amount of books I inhale. There would be quite a bit of work involved in revisiting some of my much loved series to be able to effectively post about them. Time will tell. Two Days in a Row Oh MY! I think I may even need to sit down now that I am writing a post two days in a row. Trying to work out my layout here and I’m stuck! Somewhere, hiding from me are pixels which are just a teensy bit too big and are throwing everything else off. I have it narrowed down to two images but still not figuring out exactly what the issue is. I’m just going to let it rest for a little while and give it a go again later. For now it just is what it is. 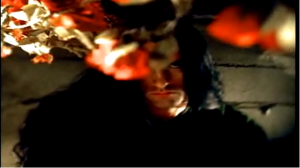 Still obsessing over Peter Steele(leaving another pic here so I don’t lose it), still don’t know why and I know it’s not going to stop until I nail down what the catch is. Oh to be one of those people who can just go with the flow. Nope not me. If there is a wall in front of me I will keep trying to go through it rather than around. Why? Apparently I like when things are difficult. Trying to get into a book I started reading but it’s just not happening. I wish the a new Dark-Hunter book would come out. I am jonesing for a fix. That’s right fluffy vampire fiction. Love it! I like the darker stuff too, the whole vampire thing just does it for me what can I say. I mean who wouldn’t want to never grow old, never die and be at the height of physical perfection without ever working for it. Speaking of which this is now the 2nd night in a row I’m misbehaving and skipping the drill. Ummm.. I feel guilty. Maybe that’s what I should go do now. Nah! I have a purry kitten love right where I am…does it get better than this? One thing that all Crabs (astrological Cancers or the seafood type of crab) know deep in their hearts is that someone, somewhere out there knows how great it would be to bust them wide open and eat them with melted butter. The big news for you this year, Cancer, is that Pluto has moved into your Seventh House, which rules marriage, partnerships and close relationships. This means that someone may very well be cracking your heart open in the next year. Update… Nope not unless you count my new found obsession with Peter Steele. Cancer has a bit of a reputation for enjoying doom and gloom. You don’t. You just seem to get more than your fair share of it. It must be that thick shell of yours. Everyone assumes you can just take it. The good news is that you earned that reputation because you can take it, and more. And often, your greatest moments come when you have overcome the greatest obstacles. Thankfully, the roadblocks you face in 2010 won’t be that devastating, but they’ll certainly give you an opportunity to shine. New support and new energy will be entering your life from unexpected and overlooked people and things, and you’ll be able to soar above it all! Update …. Well this is sort of true. I definitely had some work related set backs but as it turned out got through it and it brought about the opportunity to work with some amazing people whose contributions exceeded even the original expectations! As far as your work life goes, 2010 divides up into two nice, clearly defined chunks: the first half of the year is going to present struggles, and the second half will see a boatload of new opportunities. January and February will be a lot of work — literally and figuratively — almost as if everyone ignored their jobs during the run up to Christmas, and then decided to drop everything on your desk. Although your relationships with co-workers may be strained at this time, it isn’t anything you can’t handle. Be careful not to drag too much of that work stress home with you to a partner, particularly in January. Rather than dwell on it, do your best to find a way to take that experience and use it to your benefit. Update… very true. June and July will bring some exciting opportunities for advancement. You’ll be getting more recognition for your efforts, and the possibility of a raise is in store. If you don’t have a regularly scheduled salary review planned for that time, things may be going well enough that you might want to bring the subject up anyway. Even the seed of that notion planted then can take root later. March to May will urge you to really do something about your actual cash-on-hand situation. You’ll have both an increased drive to increase your security, and (paradoxically) the urge to overspend. Try to avoid “emotional overspending” during that time, and the rest of the year should work out for you. Update … well this is always true. I always make sure to have cash on hand and I am ever so good at spending it..lol! After a year in which you felt that you weren’t being heard — whether by a spouse, or your calls for an adequate mate went unanswered — things will be shaking loose in dramatic manner in 2010. Two eclipses this year will have a particular effect on your relationship with a partner. In January, an eclipse in your Partnership House will bring issues to the forefront. If you have an existing relationship, tensions that have been building will become unavoidable; and if you aren’t, you may suddenly find yourself more dissatisfied with that situation (or a new partner may suddenly come into your life). In either case, the more dramatic of the effects may be short-lived but will give you the opportunity to make some long-needed changes. As far as romance in general goes, however, it’s more a good year than a bad one. May and June in particular will see new romantic opportunities coming your way, and will pump new life into a current relationship. Update…. nope nope nope nope. Boring and uneventful was the romance department in my life for 2010. I think I may have a love/hate relationship with style sheets. The possibilities are endless, the learning curve sucked! It’s taken me almost a month to redo my layout into a word press theme. At times I have wanted to cry and kick my laptop clear across the room. I seem to be missing most of my blog post images. It s going to be soooo much fun putting them back. Ewwww! Anyways it’s the 4th of July weekend and I am free from work for a whole THREE DAYS!!!!!! I have been sitting here trying to work up the enthusiam to get up and go to the supermarket to pick up the rest of what I need to barbeque tomorrow. And that is exactly what I am doing now………. Okay so Yahoo 360 is going away. I finally managed to get all my posts and images into a new WordPress blog. Wish I was more up to speed on the customization of it as I just don’t feel like messing around with it right now.